This recently released hidden object puzzle adventure game tells us a story of a character from Russian fairy tales. the game doesn't offer much of the innovation to the genre. 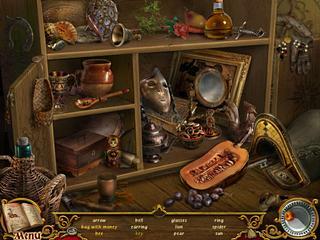 It is one of those average hidden object games that are okay to play. The difficulty level in general is not too high in the game. Even if you have problems with finding something, the hints recharge quickly. Kashchey the Immortal is an evil man, or rather more than a man as he posseses some supernatural powers. He kidnaps the most beautiful woman in the whole Russia. The woman has three sons who start the search for her. You play as the youngest son. The audio-visual presentation of the game is not too bad. Some of the graphics look very well drawn, the music though becomes annoyingly repetitive after a while. 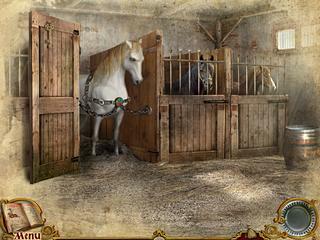 The hidden object scenes are clear and not cluttered, which makes it easy to find the objects. The difficulty level in general is not too high in the game. Even if you have problems with finding something, the hints recharge quickly. Plus there is no click penalty, so you can click all you want. The part with the mini games is not breath taking either. You have played all of those puzzles in many other games in the p ast. There are inventory items that are hard to find at times since they are so tiny. Whenever something is written in the journal, you have to stop and look at it in the still scene. The game could have been done much better to avoid those rough edges. This is The World`s Legends: Kashchey the Immortal review. Download this game here.